Is Your Yogurt on the Naughty List? I don’t know about you, but I feel really good about myself when I start my day off with a bowl of yogurt. I considered my bowl of Greek yogurt as my “healthy meal” of the day, and didn’t worry about what I consumed for my other meals, because my yogurt made up for the other bad stuff I ate throughout the day! However, my scale begged to differ. I was shocked when I stepped on the scale for the first time, a few months after I began my yogurt “diet” and saw that I had gained weight! Quite a bit of it! I thought I was being healthy! However, like most foods, there is a right way and a wrong way to do yogurt. I came to the sad realization that one “good” meal a day doesn’t mean that the rest of my meals can be Happy-Meals. 1. Not Measuring Portions- Previously, when I bought yogurt, I assumed that one container was one serving size and never thought to double-check this with the label. Even when I bought the larger containers to save money, I never stopped to check how much of it I should actually be eating per serving. Its important not to assume a serving size based on gauging portions with your eyes, especially if you’re eating from a large container. Aim for 6 ounces to 1 cup per serving size. 2. Counting Calories vs. Counting Protein- While counting calories is essential when trying to lose weight, doing so with yogurt could be misleading you. Rather than only focusing on the amount of calories per serving, make sure you’re getting around 12-15 grams of protein. For example, rather than choosing the 100 calorie yogurt with 6 grams of protein, go for the one that has more calories, but also more protein, so you feel full longer. 3. 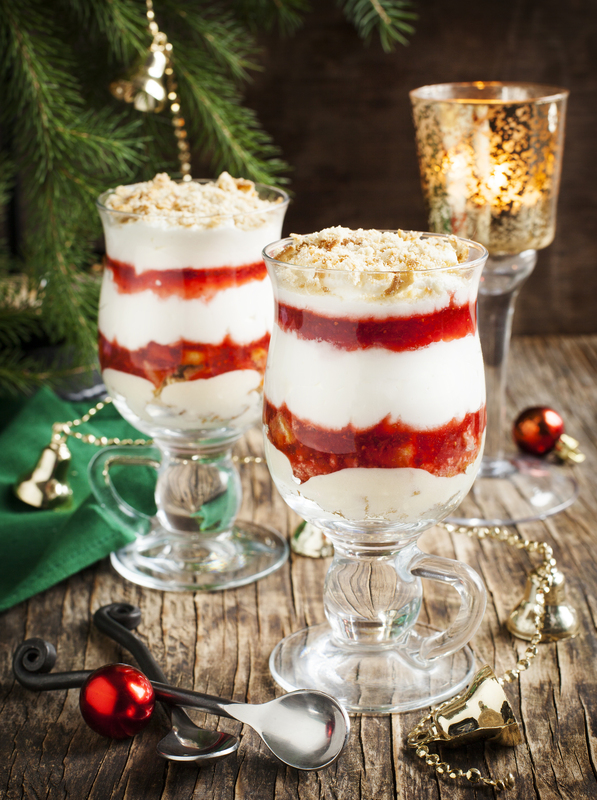 Parfait Does Not Equal Yogurt- “It has yogurt, so its healthy… right?” Not necessarily. 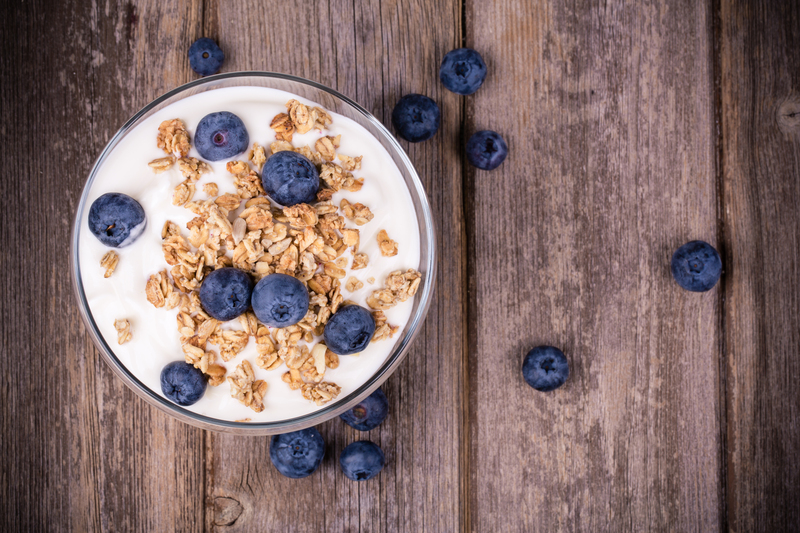 In fact, parfaits with full-fat yogurt and lots of granola can do more harm than good. For one thing, the granola breaks up the yogurt, leading you to believe you are eating less yogurt than you actually are. Also, a lot of packaged parfaits have artificial flavors and contain fruit that is far from fresh. I know the parfait looks much more appetizing than a regular packaged yogurt, but in the long run the parfait isn’t doing your weight-loss efforts any favors. 4. Adding Too Many Extras- So you’ve got your yogurt serving size down, but are you accounting for the cereal, honey, or fruit you are adding to it? All of these things can be great, healthy additions, just make sure you are adding them in modest amounts. It’s important to clarify whether you want your yogurt to be a snack, or a full-on meal. If it’s just a snack, make sure it is 200 calories or less. 5. Using Yogurt as Your Probiotic Source- While getting your daily dose of probiotics is important, make sure you aren’t choosing a yogurt just based on its probiotic claims. There are other lower calorie and fat sources for getting your daily probiotic intake, like supplements. 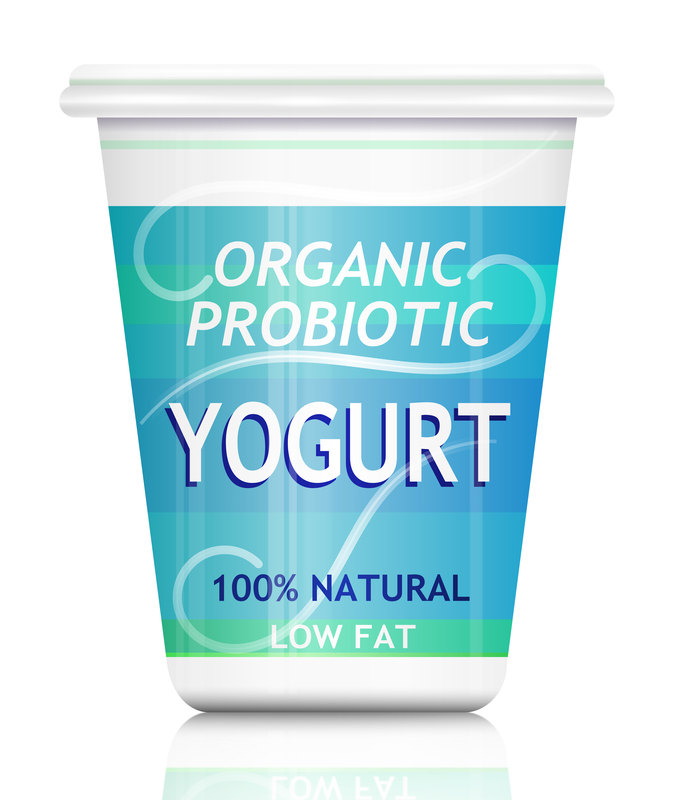 There is no need to start loading your diet with yogurt just to get your probiotic fill. 6. Making Fat-Free a Priority- Usually, a fat-free yogurt will overcompensate in other areas, like sugar. Yogurt is a healthy fat, however, the added sugars are not. Go for a yogurt with less than 18 grams of sugar, and make sure that it is not the first ingredient listed on the label! Overall, you want to be sure you’re getting enough protein and not too much sugar. Posted on December 19, 2014 December 19, 2014 Categories Be Healthy, ProbioticsTags breakfast, calorie counting, calories, dairy, diet, fat free, good fat, greek yogurt, healthy, healthy diet, natural fat, parfait, portioin, portion control, probiotic, probiotic yogurt, protien, serving size, weight loss, yogurt, yogurt portion, yogurt servingLeave a comment on Is Your Yogurt on the Naughty List? The following article was written by Dana James, a member of Essential Formulas’ Scientific Advisory Board, for MindBodyGreen. Enjoy! It would be ignorant of us to think that giving humans antibiotics wouldn’t also impact our weight. Dr. Martin Blaser MD, the director of NYU’s Human Microbiome Program and a former chairmen at its medical school, has postulated that the widespread treatment of young children with antibiotics has caused changes in our gut bacteria (called microbiota) and this may be contributing to the rapid increase in childhood obesity. While obesity has increased three-fold over the past 15 years, more disconcerting is that the higher the body mass index (BMI) range, the more magnified the increase. Since 1989, obese individuals with with a BMI of greater than 30 have doubled, the number of individuals with a BMI of greater than 40 has increased five-fold and the number of those with a BMI greater than 50 has increased ten-fold. Clearly, something more is at play than that just gluttony, slothfulness and processed foods. Research now suggests that our microbiota can make us fat or skinny. Obese people have a different gut microbial compositionthan lean people. They have a higher ratio of Firmicutes to Bacteroidetes. One study even found that individuals who had undergone gastric bypass surgery have very different microbe composition from obese people. Firmicutes and Bacteroidetes are bacterial groups not strains. As yet we don’t know exactly which strains do what, but we know what happens when the ratio of these to groups increase: more fat! They extract more calories from food. They decrease the ability to burn fat by inhibiting an enzyme that breaks down fat. They alter the hormones that regulate appetite. They convert normally indigestible fiber into glucose which can be stored as fat. Additionally, pathogenic gut bacteria produce inflammation. 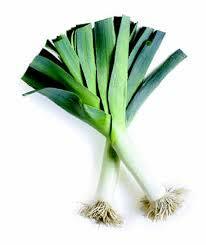 This inflammation can contribute to insulin resistance, leaky gut, autoimmune conditions and obesity. One of the most compelling studies confirming the gut bacteria obesity link was conducted in China in 2012. The researchers prescribed a prebiotic-rich diet of whole foods, an exercise program, and Chinese herbs, including berberine, to a morbidly obese man. In 23 weeks, the man had lost 51.4 kg of 174.8 kg initial weight and had reversed his hyperglycemia and hypertension. The inflammation-producing bacteria decreased from 35% to non-detectable. 1. Identify and eliminate pathogenic microbes such as parasites, yeast and bacteria. I use stool testing for this but some energy workers and colonic hydrotherapists can also identify this. Follow their elimination protocols. 2. Clean up your diet. Eat mostly plants, no gluten, no sugar and organic protein only. 3. 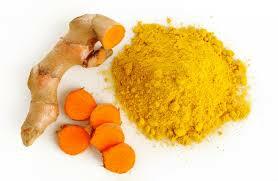 Heal your gastrointestinal (GI) tract and improve your immunity. I use glutamine power, slippery elm bark, okra and marshmallow root to help heal the lining of my gut. 4. Replenish the gut microflora with living probiotics. I use Dr. Ohhira’s probiotics which is 100% raw fermented food with probiotics. Sometimes I add in a 12-strain probiotic and will use anywhere from 25-100 billion colony forming units (CFUs). If you have a sore throat, let it be. You’ll resolve it just as quickly by taking anti-fungals such as oregano oil and boosting your immune system with vitamin C and zinc. 6. Make it a cheat meal instead of a cheat day. A high-fat, high-carb diet changes your microbiota within a day (for the worse)! It takes guts ® to lose weight! The thought of eating super healthy gets me excited, until I walk into the grocery store and see all kinds of foreign objects in the fruits and vegetables section. “What is this prickly thing,” I ask myself. “Am I supposed to EAT that?” I approach these alien foods, but quickly shy away and revert to the boxed foods section when a clerk says “are you finding everything ok?”— “No I’m not finding everything ok! I came into the store to stock up on healthy foods and I have no idea what I’m doing,” I fee like saying. Almonds: The most nutritionally dense nut, almonds offer 13 grams of unsaturated fat and 3.4 grams of fiber in just one serving. Almonds may also help with weight loss, have major benefits for the heart, and reduce total cholesterol. Chia: Perhaps most well known from the Chia-pet craze, chia seeds have much more to offer than a humorously shaped potted plant. Packed with magnesium, iron, calcium, and potassium, chia seeds are quickly gaining popularity in the health-food market. You can either add the seeds to smoothies or yogurt or take a chia seed oil supplement to get all the benefits of this super-food. Eggs: Eggs have many more benefits than just being high in protein. 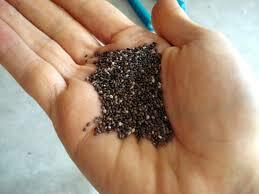 They are also rich in Omega-3 fatty acids and antioxidants. They can help protect your eyes from free radicals and eye degeneration, and the yolks contain a particular B-vitamin that is essential for proper brain function. Eggs-actly what you should be eating for breakfast! Flax: You already know that the Omega-3’s in flax can help lower cholesterol and reduce the risk of heart disease, but did you know that flax seeds are higher in fiber than flax oil? 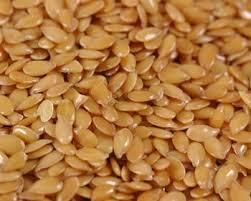 Try adding some flax seeds to baked goods, oatmeal, or a salad. Greek Yogurt: This yogurt is set apart from the others because it has been strained to remove excess liquid. After this process, Greek yogurt ends up full of protein and probiotics. It takes about 4 pounds of raw milk to produce one pound of Greek yogurt, but Greek yogurt ends up lower in carbohydrates and sodium. 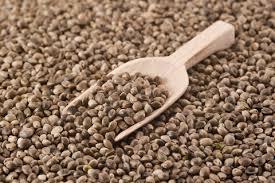 Hemp: The biggest health benefit comes from protein and essential fatty acids, which may help fight coronary heart disease, cancer, and even symptoms of depression. The GLA in hemp adds a variety of benefits ranging from allergy defense, to helping treat ADD, and even helping lower cholesterol levels. Ice Water: When the body is exposed to cold temperatures, it burns extra calories to keep itself warm, increasing metabolism by up to 50% in the process. Therefore, drinking a glass of water not only hydrates you, but can also speed up your metabolism and increase weight loss. Ice, ice, baby! 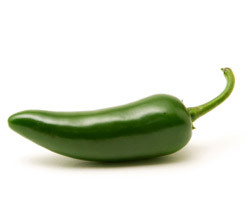 Jalepenos: These peppers aren’t spicy just for the heck of it. Capsaicin, a compound found in spicy peppers like jalepenos, has been found to speed up the metabolism and suppress the appetite. 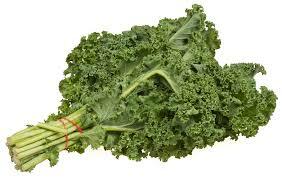 Kale: Ringing in at only 36 calories per cup, kale is a great low-calorie source of fiber, calcium, and iron. It is also full of vitamins A, K, and C.
Milk: Research suggests that chocolate milk could help improve athletic performance and lead to better body composition. This treat provides the ideal ratio of carbs and protein for consuming after you work out. Got chocolate milk? Nuts: The unsaturated fats contained in nuts are good for you heart and some can even help lower blood pressure and body fat. However, homosapien nuts can have the opposite effects. Oatmeal: The whole-grains in oatmeal make it a great source of fiber, which is known to help lower blood cholesterol, aid in digestion, and help improve metabolism. While the oatmeal in packets are extremely convenient, it is ideal to make your own oatmeal in order to cut out any unnecessary sugar or additives. Pineapple: Is your sweet tooth calling to you after eating all of these veggies? Pineapple is the answer! 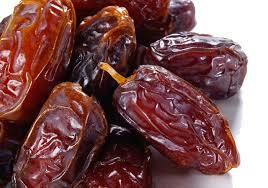 This fruit is known for boosting the immune system. 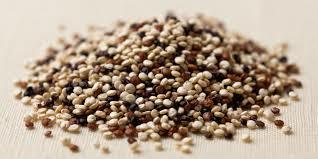 Quinoa: While it looks like rice, quinoa actually comes from a seed related to green leafy veggies like kale and Swiss chard. This is one of the only grains or seeds that provides the 9 essential amino acids that our bodies are incapable of producing, and therefore must consume. Radish: Some studies suggest that certain compounds in radishes may be able to help stop the growth of some cancers, including breast cancer! Other compounds in radishes may aid in muscle recovery after a tough workout. 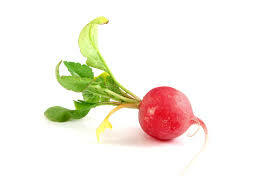 You look radishing, darling! Tumeric: Its not just the yellow color that makes this spice famous, but also its use for treating digestive problems and relieving pain. Tumeric gets its super powers from an antioxidant called curcumin, a traditional Indian medicine used for thousands of years to treat inflammation-based conditions ranging from IBS and autoimmune disorders to arthritis and tendonitis. 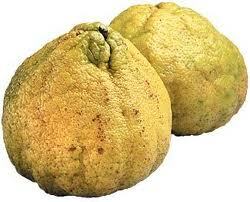 Ugli Fruit: Also known as Tangelo, this citrus fruit is a cross between a grapefruit, Seville orange, and a tangerine. Just one serving contains about 140% of the daily recommended value of vitamin C! Don’t let its ugli looks deceive you. Vegetables: You can’t have too many veggies! Whether you go with green veggies,(a great source of iron and calcium), red veggies (full of lucopene and anthocyanins), or allium veggies like onions (full of antioxidants), you are doing your health a huge favor. Wheatgrass: “Shots for everyone!” Ok, not the kind of shots you’re probably thinking of. Those may seem like a super-food at the time, but they are not. A shot of wheatgrass, however, is a quick way to get a dose of greens, offering many health benefits to its drinkers including live enzymes that aid digestion. 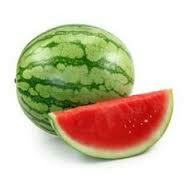 Xigua: This fancy word is really just another name for watermelon (I needed a word that started with X.) This refreshing fruit is packed with water and is low in sugar and high in vitamins A and C. Lycopene, an essential carotenoid found in some fruits, can protect the body from UV rays, cardiovascular disease, and some forms of cancer. 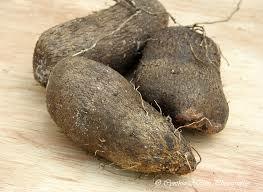 Yams: Not to be confused with its fraternal twin the sweet potato, this super-food is low on the glycemic index, meaning that it can be eaten without negatively affecting blood sugar levels, thus making them a great food to consume for sustained energy. Yams are also a great source of fiber, vitamin B6, potassium, and manganese, which are key for the proper function of the nervous system. 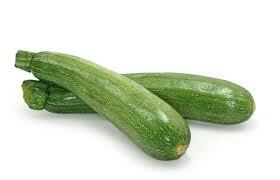 Zucchini: Last but not least, this green-skinned veggie is packed with vitamins C and B6, potassium, manganese, and folate. With only 20 calories per cup and a high water content, this veggie is a great snack for staying hydrated in the summer heat.